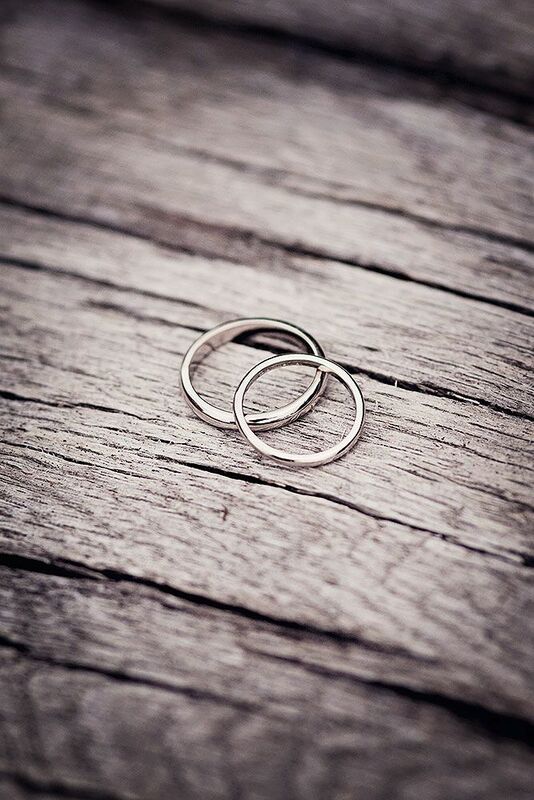 Me and Jamie have always wanted to do something a little bit special for our wedding rings, I mean they are something that you are going to wear for the rest of your life! But we never really knew quite what we wanted. Our search started quite a while ago, originally I wanted one that matched my engagement ring very closely, but when I tried them on i felt they were too 'blingy' and not really me. Jamie found one he liked almost immediately, brushed palladium (same family as platinum) 5mm hammered effect ring. The more I looked at it the more I wanted one similar. I searched high and low for one in one of the high street jewellers, but was sorely disappointed with what I could find... Nothing! Then I decided to take my search online. I found so many I liked on Etsy, which were handmade and simply beautiful. I was very nearly tempted, but with shipping costs and the fact I wouldn't have a person I could deal with, we decided to have one last look in local jewellers in Norwich. We stumbled across a family run jewellers called Aurum. Set in an old merchant’s house and nestled in the Norwich Lanes, Aurum is one of the UK's leading contemporary jewellers. Drawing on the family’s 35 years experience and keen eye for design, Aurum Jewellers showcases some of the best British and International designers placing great emphasis on quality and individuality. Many pieces are also designed in house by the owners, making them very much unique to Norfolk. The whole process of 'designing' our rings was simple and stress free. And surprisingly not that expensive for a bespoke piece. We opted matching metal, white gold, and we managed to get the hammered design that we loved. By band will be a 2.5mm width and Jamie's 5mm, his will be a brushed finished and mine polished (he said this suited us perfectly hahaha!). So we managed to get exactly what we wanted. I can't wait to see how they turn out, I feel very satisfied that this part of the day is sorted. That list is quickly getting things ticked off!! One thing that did make me laugh today though... I got a phone call today telling me I had won £350 off another local jewellers in Norwich from the wedding fair that I went to a couple of weekends ago. Typical!